Translations of Zhi Yi's works in English? Are there any sources for Master Zhi Yi's works in English? Though I can read Chinese I'm not fluent in classical and from what I've seen his works tend to be in massive paragraphs that are extremely off-putting to read. Re: Translations of Zhi Yi's works in English? thecowisflying wrote: Are there any sources for Master Zhi Yi's works in English? Notably, the page links to a PDF of one of the critical sections of the Mo-Ho Chih-kuan, the work widely viewed as Zhiyi's most important . Previously you could get a CD with the first six chapters of he Moho Chih-kuan translated by Swanson from Kosei Publishing, but having looked on their website, it does not seem to be available anymore. I understand that a complete translation is supposed to be published, imminently by U. Hawaii, but I have not heard anything recently. Emptiness and Omnipresence - the most comprehensive book on Tiantai, intended to provide an overview. Evil and/or/as the Good - a study of one of the later Tiantai patriarchs, Zhili, but with an extensive discussion of Tiantai. Being and Ambiguity - a sort of whimsical application of Tiantai theory as philosophy. Tientai Buddhism and Early Madhyamika - a complement to Swanson's "Tientai Philosophy"
Sources of the Chinese Tradition Contains a partial translation of Zhiyi's Lotus Confessional Samadhi ritual manual. These are fairly generic works - practical meditation instructions that do not offer much insight into Tiantai thought. Only one of the works in this volume is directly Tiantai - its an outline by a 10th c. Korean monk, Chegkuan, who was invited to China to revive the Tiantai tradition that had apparently been lost there. While useful, this text has been criticized as misrepresenting Tiantai thought for the way in which the subject is presented. Still, useful for gaining an understanding of the Tiatai classification systems. No offense to Cleary, but this is one of his worst published translations. Its a loose translation of the first chapter of Moho Chihkuan. It seems he started translating the text and then gave up. Its like he handed over a first draft that he never bothered to review. This really should not have been published. Its more or less incomprehensible. - This is an alternative translation of the the Essentials of Buddhist Meditation translated by Bhikshu Dharmamitra above. Mind if I copy this thread over to Discovering Mahayana? Might also want to append it to the resources thread in this sub. Good idea to cross reference. Its a study and fairly detailed outline of what is often considered Zhiyi's second most important work, the Fa Hua Hsuan-i, a commentary on the Lotus Sutra through a structure based on its Chinese title. Swanson translates part of this in Tientai Philosophy. The outline here gives an idea about the rest of the text. of Makashikan as well as drafts of parts of Chapter 7 and other articles. 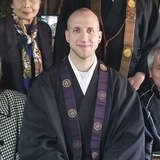 To promote an enhanced understanding of Buddhism in order to help all sentient beings, and to transmit the light of the Dharma - the teachings of Dengyo Daishi Saicho to encourage interfaith dialogue; to foster a compassionate awareness of the need to protect the Earth's fragile environment.